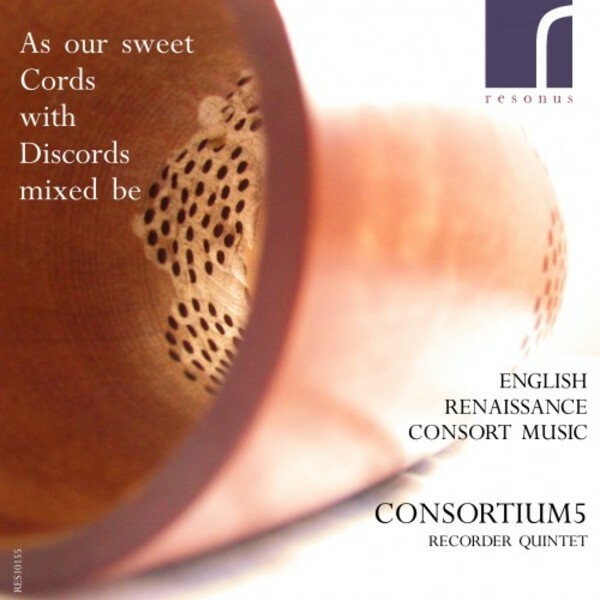 Making their Resonus debut is the unique and innovative recorder consort Consortium5. Presenting a diverse and compelling programme of consort music from the English Renaissance period, the group chart the early development of instrumental music in England, with a plethora of both well and lesser-known composers from the period including such luminaries as Robert Parsons, William Byrd, John Dowland and Christopher Tye alongside Edward Blankes, Jerome Bassano, William Brade and Antony Holborne among many others. This fascinating programme is performed on the group�s exquisite matching set of ten Bassano recorders by Adriana Breukink.